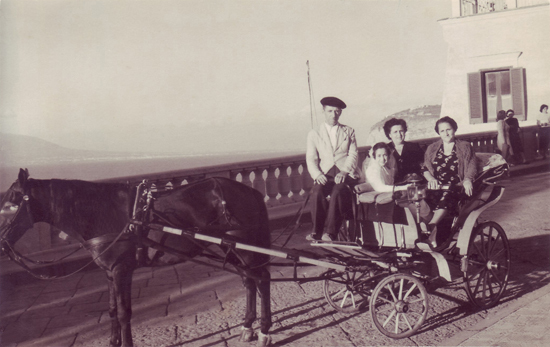 It was way back in 1887, based on records and documentation, maybe even before then, that Ercole De Gennaro with his carriage, already the oldest in Positano and Sorrento, worked with passion and natural kindness as a tour operator, driving the first tourists around to visit our wonderful places of interest. This tradition was later handed down to his son, Nicola De Gennaro who continued the business from 1920. The first photographic documentation dates back to that period. Family tradition continues through the 1950s, which saw a radical change from the advent of the car, a new revolution in tourist transport. 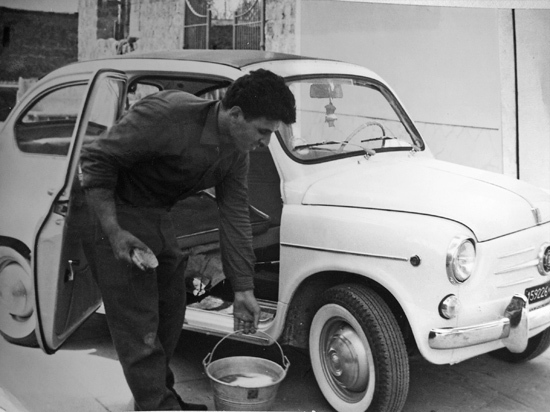 Those where the years in which Nicola's son, Alberico, founded Rainbow Limos, bringing the first cars to Positano and Sorrento. So history and tradition pass from generation to generation; and with Alberico we are already at the third! The years go by and in 1981 we find in our midst a name we already know: Nicola De Gennaro Jr, who follows family tradition, adding a modern touch to the driving business by offering work opportunities to women as private drivers, including his wife Giulia D'Urso who thus becomes a member of the company with honours and also gives birth to the next generation: Alberico Jr, the youngest but nonetheless with the professional and courteous characteristics inherited through the five generations that have led to today.